George Lucas, PhD, has been a valued resource to organizations as a speaker, trainer, consultant, and coach for over 30 years. He’s the author and coauthor of several successful books, including The One Minute Negotiator: Simple Steps to Reach Better Agreements, a New York Times and Wall Street Journal international best seller he coauthored with Don Hutson (foreword by Ken Blanchard). This widely acclaimed, entertaining, and informative parable-style book has already been translated into over 20 languages. George held field sales positions with both American Hospital Supply Corporation and Pitney Bowes. He received his MBA and PhD in business administration from the University of Missouri, and subsequently held faculty positions at Texas A&M and the University of Memphis. During his time at Texas A&M, he was a founding faculty member of the internationally acclaimed Center for Retail Studies. 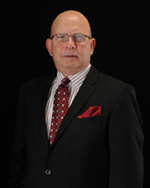 He was recognized as a top professor in executive and international MBA programs. While at the University of Memphis, George was a lead faculty member on the development of the first MBA-level B2B negotiation skills course in the United States. George is currently the director of Coaching and Learning at Schul Baker Partners in Dallas, Texas, and a member of the board of directors for U.S. Learning, Inc., headquartered in Memphis, Tennessee. His vast list of clients includes top firms in the risk/insurance, agribusiness, manufacturing, and distribution industries. In addition, George writes self-study courses for Western CPE.